JOHANNESBURG, South Africa, 2017-Oct-02 — /EPR Retail News/ — Diebold Nixdorf, a world leader in connected commerce, is partnering with Decathlon, a leading sports retailer, to supply point-of-sale (POS) systems and software to its first megastore in South Africa. The new POS systems include both barcode scanners and radio frequency identification (RFID) readers– the first time such a setup has been adopted in South Africa. Products in the megastore are identified with a label that has both a stacked omnidirectional barcode and an embedded RFID tag, making product identification at checkout both easier and faster than traditional systems that only use a barcode reader. The 2,500 square meter Decathlon Alberton Megastore, located south of Johannesburg, opened its doors to the public on September 2, 2017. Additionally, RFID tagging enables retailers to increase inventory accuracy—decreasing the time it takes to check inventory from one day to approximately one hour. 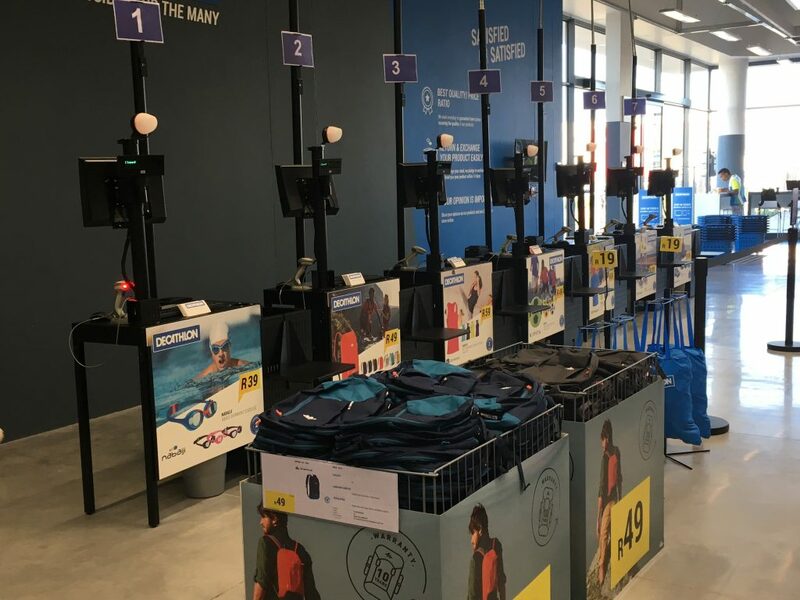 This increased visibility enables Decathlon to identify trends earlier and respond more quickly to demands at a store level. Diebold Nixdorf has maintained representation in South Africa since 1971. Today, the company operates in the region from its office in Olivedale, Johannesburg, and employs 220 staff serving the needs of customers in both the retail and financial markets. Diebold Nixdorf, Incorporated is a world leader in enabling connected commerce for millions of consumers each day across the financial and retail industries. Its software-defined solutions bridge the physical and digital worlds of cash and consumer transactions conveniently, securely and efficiently. As an innovation partner for nearly all of the world’s top 100 financial institutions and a majority of the top 25 global retailers, Diebold Nixdorf delivers unparalleled services and technology that are essential to evolve in an ‘always on’ and changing consumer landscape. This entry was posted in Business, Retail, Retail Services, Retail Software, Retail Solutions, Retailer and tagged Decathlon, Diebold Nixdorf, Jean Christophe Bouche, pos systems. Bookmark the permalink.